The DPI of an image defines the number of "dots per inch" and it's usually an indicator of its quality. The higher the DPI, the better the image quality. Depending on what you plan to do with an image, adjusting the DPI can help customize its size and resolution. For example, if you plan to print the image, then opting for a higher DPI is the best thing to do. If, however, you want to post it online on a website or on a social network, or send it by e-mail, a standard resolution of 72 DPI will be enough. 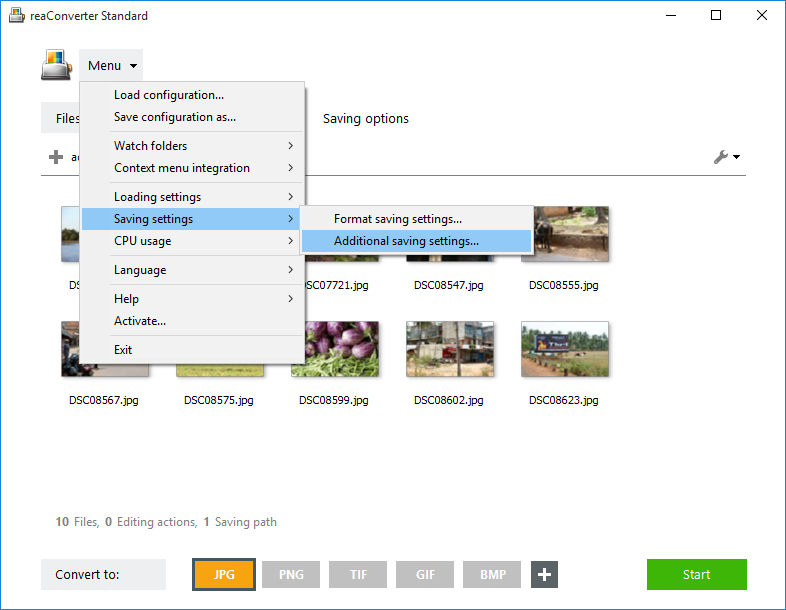 With reaConverter's latest edition preserving or changing the DPI only takes a few seconds when you do batch image conversion. Add all the image files you intend to convert or change the DPI to. 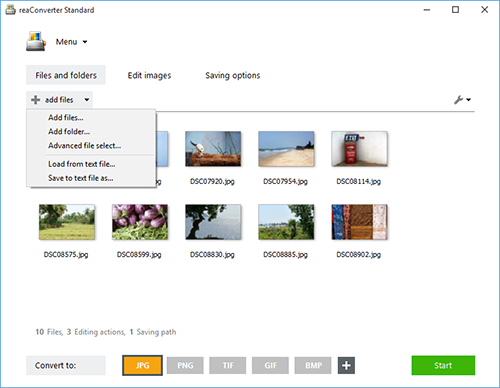 You can insert them in the reaConverter window using the drag-and-drop tool or by manually selecting them from a local folder. 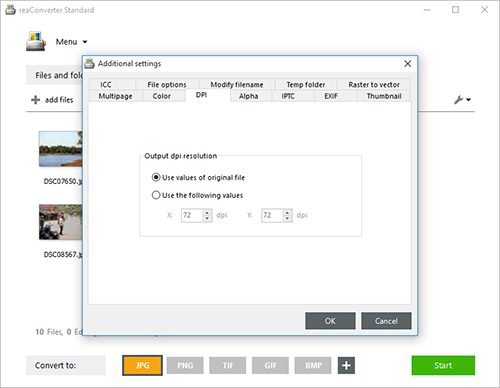 Here you will find the DPI tab, where you can opt for using the DPI values of the original image files during conversion, or for entering new values for the output files. In the Saving options tab, you can pick the location for your newly edited images. Save them locally, in the source folder or in a newly created one, or in your Google Drive, for example. Finally, choose the format of the output images by clicking one of the buttons placed in the lower part of the screen. Then click the Start button and your new images will soon be ready to use.